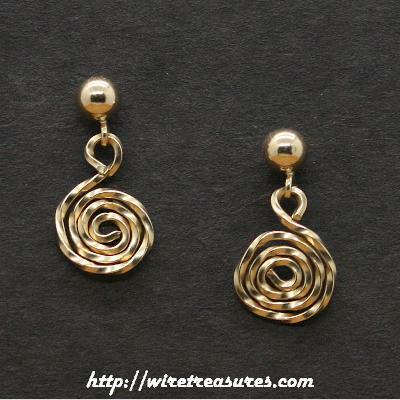 Simple but elegant twisted 14K Gold Filled wire curls on ball posts! Don't let the big photo fool you; these are tiny and terrific! These earrings hang down about 5/8". You are visitor number 3,018 to this page.